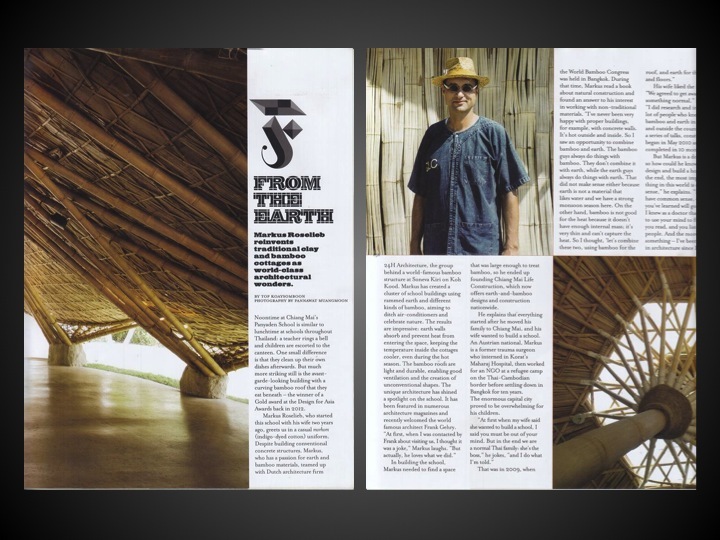 Builder and co-founder of Panyaden School, Markus Roselieb (Chiangmai Life Construction (CLC)) talks about our bamboo and earth architecture in the April 2014 issue of The Magazine (Bangkok Post). Available at news stands and bookshops in Thailand. 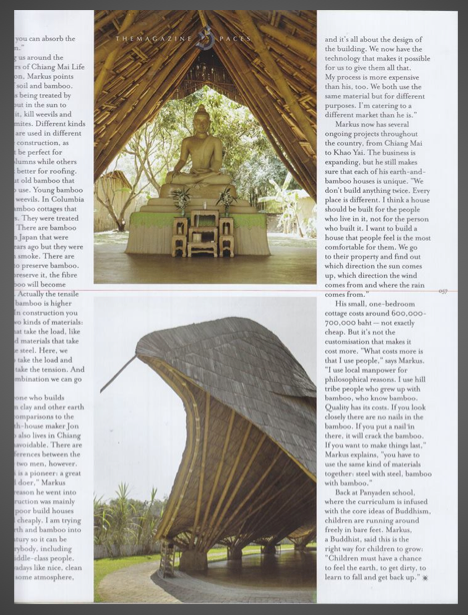 This entry was posted in Featured Posts, Interviews and tagged bamboo and earth architecture, chiangmai Life construction, CLC, Markus Roselieb, Panyaden School, thailand, The Magazine (Bangkok Post).